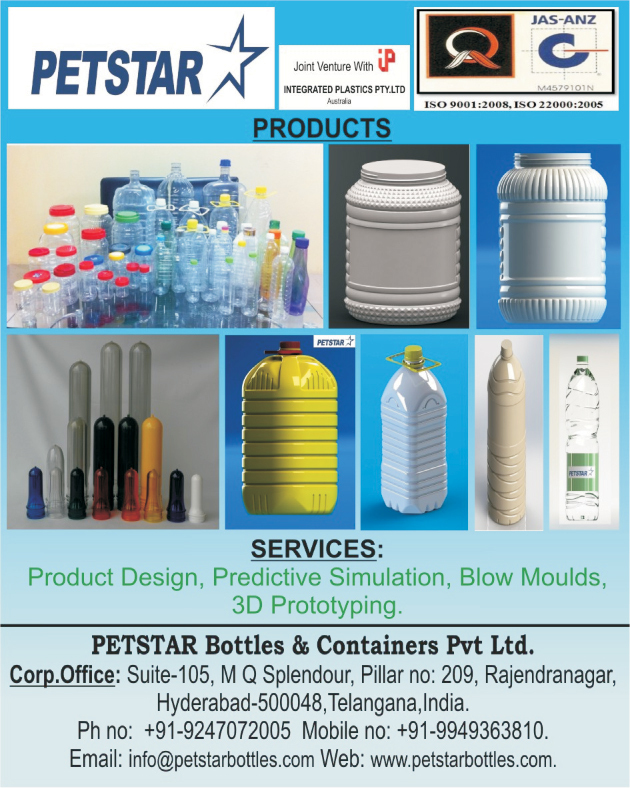 Petstar Bottles & Containers Pvt. Ltd. Containers, Caps, Bottle, Jar, Pet Preform, Water Bottles, Closures, Accessories, Preform Moulds Services, Blow Moulds Services, Plastic Bottle, Plastic Jar, Plastic Pet Preform, Plastic Caps, Plastic Container, Pet Containers as an active Manufacturer, Supplier, Dealer, Distributor, Trader and Seller etc. (*Importer/Exporter/Service Provider).